I’m in Austin for my friend Megan’s bachelorette party this weekend and I didn’t have time to put together a Saturday Savings post for you, but I did want to share a new designer that I am currently coveting! Edie Parker is known for her glamorous boxy clutches, a favorite among the fashion elite and A-list celebrities. 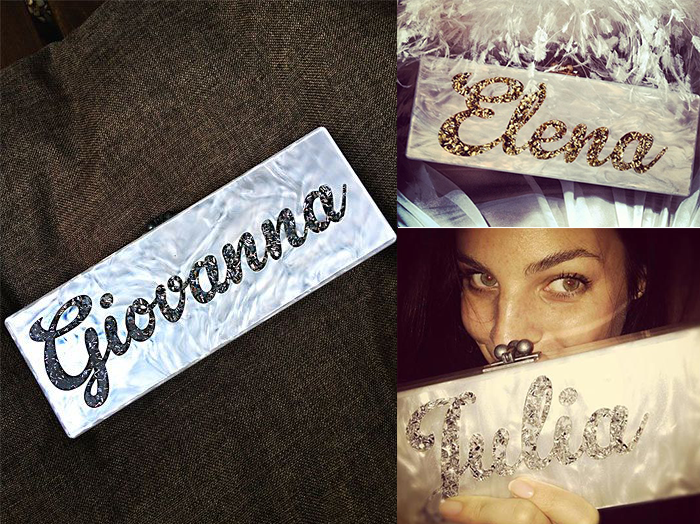 From Taylor Tomasi-Hill to Anna Dello Russo to Rosie Huntington Whitely, her clutches have been spotted everywhere! 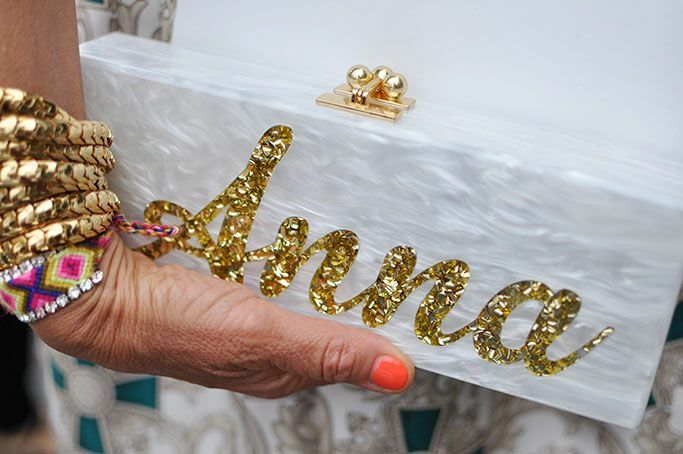 I’m personally in the market for an evening clutch (remember all those weddings this year? ), and the first thing I did was head to the Edie Parker website. While I love her fun and quirky clutches like this citrus one and this pearlescent striped one, I’m really most interested in having her create a custom Bespoke clutch with my name or perhaps even my social media handle (@merrittbeck). I’ve also seen them with hashtags – perhaps #thestylescribe would work? What do you think I should get? I can’t decide! 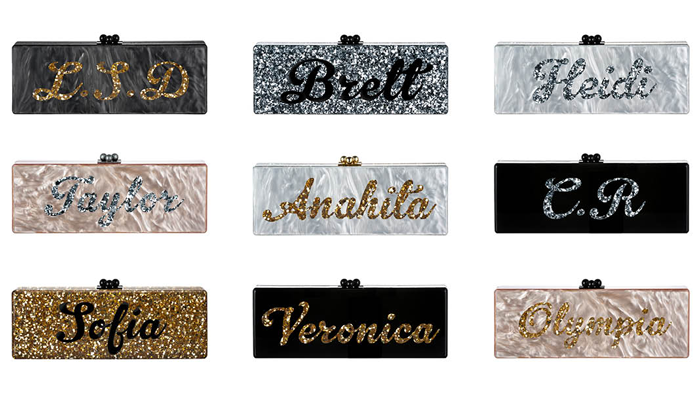 You too can get a custom Edie Parker bespoke clutch in the colors and script of your choice! It’s a fabulous piece that you’ll have forever and is completely unique to you. Click here for more information and to place your order on Edie-Parker.com. Obsessed with these! The most modern take on all of our old monogrammed items. Love these! I think you should just get Merritt so that it’s a timeless piece. Who knows, in a few years hashtags and @ handles might not be as cool as now. Have a great weekend! What a discovery! The ones with hashtags are incredible, but if I were you, I’d pick just my name. Elegant, simple and fabulous. I think you should get just your name, not a hashtag or @ handle, so that way it will be timeless!! I’ve loved these for a while now. So pretty and fun! These are amazing and I wish one would appear in my closet. I would do your name. It’s more timeless. But if you think it’s something you’d buy two of, do #thestylecribe.